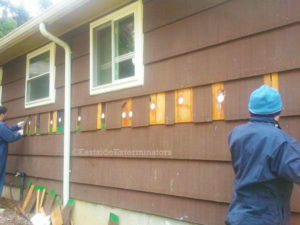 Here in the Seattle area, properly insulating your home is key. Our cold winters and increasingly warm summers have you running your HVAC system much of the year, but a poorly-insulated house wastes hundreds of dollars of energy every month. 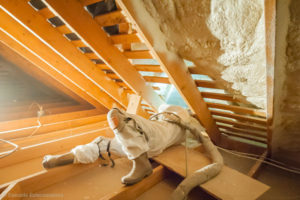 Home insulation in Seattle is our specialty at Eastside Insulation. Call us today at (425) 482-2121 for a free, no-obligation home evaluation. Many homes in the Puget Sound area, from Everett to Renton, have with basements. If your home was built more than 10 years ago and has a basement, then there is a good chance it was not properly insulated. Older homes were not often built with energy efficiency in mind, so there is less insulation in the less-visited portions of the house. Your options are plentiful when adding insulation. When you call Eastside Insulation, we know what a home needs to be comfortable, safe, and efficient. Our nearly 50 years of experience in the Seattle area gives us a deep understanding of our customers’ needs and desires. Call Eastside Insulation today at (425) 482-2121 for a free, no-obligation estimate of your insulation needs. Our professionally trained installers help make your home as energy-efficient as possible.